Home » Nokia » Nokia 3.1 Advantages, Disadvantages, Review – Fair Play !! Nokia 3.1 Advantages, Disadvantages, Review – Fair Play !! Nokia 3.1 low-end smartphone launched into the market. So, check out Nokia 3.1 advantages (Pros), disadvantages (Cons), problems and drawbacks/defects before purchasing. Nokia 3.1 price in India is around Rs.9,999 and $149 in the USA. Currently, it is not available on online shopping sites like Flipkart, Amazon to buy. 5.2 inch IPS LCD capacitive touchscreen, 16M Colors. 13 MP rear camera, 8 MP secondary camera. Octa-Core processor and Mediatek MT6750 chipset. Nokia 3.1 comes with latest Android OS, v8.0(Oreo). Presents 5.2-inch IPS LCD capacitive touchscreen and Multitouch in it. Its display is protected by Corning Gorilla Glass. It provides 2/3 GB RAM for multitasking. Nokia 3.1 has equipped with MediaTek MT6750 Chipset. Brings an internal memory of 16/32 GB and expandable memory is supported up to 256 GB. It offers 8 MP front-facing camera with additional features like (f/2.0). Supports HD video recording at 720p@30fps. It has the battery capacity of 2990 mAh which is good for heavy usage. Supports sensors like Accelerometer, gyro, proximity, compass. Design and build quality are good. It is available in Blue/Copper, Black/Chrome, White/Iron colors to choose. Nokia 3.1 supports additional features like Active noise cancellation with dedicated mic. The fingerprint sensor is missing. Nokia 3.1 smartphone comes with good features & performance for its price, but misses fingerprint sensor, Full HD display, and fast charging, we suggest to other mobiles also if you are looking for a good mobile below 15k. 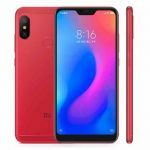 Xiaomi Redmi 6 Pro Advantages, Disadvantages, Review - Great Value !! 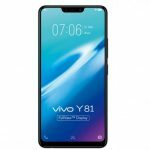 vivo Y81 Advantages, Disadvantages, Review - Not Worth !! Nokia 6.1 Plus Advantages, Disadvantages, Review – Good Smartphone !! Nokia X5 Advantages, Disadvantages, Review – Affordable!! 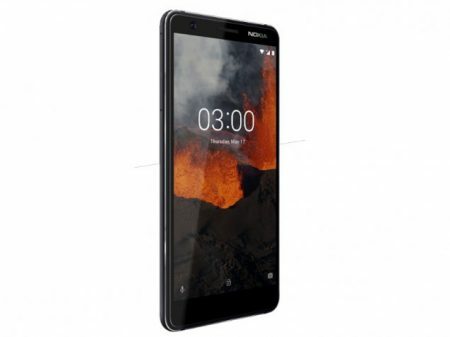 Nokia 5.1 Advantages, Disadvantages, Review – Moderate ! !